It can also depend on what kind of car you’re looking for, whether it’s a brand-new, just-out-the-wrapper model or if it’s more about the price than if it’s the latest edition. So, here are our tips for getting the best deal at the best time of year. You’re no doubt aware of new registration releases that happen in March and September every year. If not, it basically means that new registration plates are released on 1st March and 1st September so plates for 2019 March will be 19 plates and September will be 69 plates. Although new models are released from manufacturers all year round, if you’re looking for a car with the latest plate then these are the months for you. Start your research a few months before though, as you can sometimes pre-order and collect as soon as it’s released. With dealers having to make way for brand-new releases and new editions, this means that the ‘older’ versions often see a price drop. So, if you’ve got your eye on a car but know there is a newer edition on the horizon, if can often be fruitful to hold back and see what great offers become available when the new model is released. This way you can get a bargain on a nearly new car and no one will ever know the difference, although your bank balance might! Car dealers are just the same as any other retailer, with seasonal offers happening all through the year. You’ll often find that just like your favourite clothes shop is having a summer sale, your local car dealer is prepping for the same. More dealers are jumping on the marketing band wagon and having their own ‘Black Friday’ deals, Christmas giveaways and January sales. Car dealers have targets to make just like any other business, so take advantage of these promotional offers. Is your finance agreement coming to an end? Many drivers these days are taking advantage of the great finance offers available and often opt for PCP deals which means you finance the car over a few years and often have a balloon payment, or guaranteed future value, at the end. If your agreement is coming to an end, you’ll probably expect a call from your car dealer soon with great offers on a newer car. There’s no pressure, but once you get that new car itch it’s hard to get rid of. 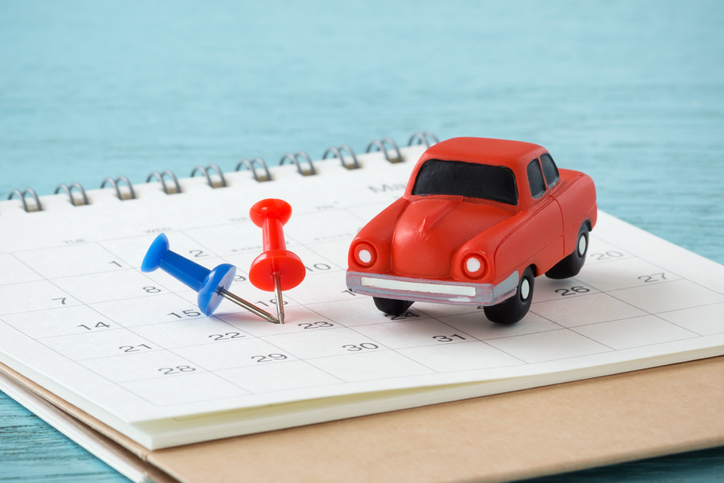 If you’re looking for a car then really the best time to buy is when you’re ready. There will always be great deals out there but, with buying a car being a huge financial decision, it’s important that you take time to do your research. At Exchange and Mart and s1cars, we have thousands of car reviews (new and used), buying tips, advice and thousands of great deals from dealers throughout the UK.